A native of Miami, Florida, Marla Schaffel has appeared frequently on television and in film. After graduating from Miami Palmetto High School, she went to the Moscow Art Theatre School before completing her training at the Juilliard School. She made her Broadway debut in 1991 as the replacement for Fantine in Les Misérables, and then, after working in various musical touring and regional productions, Schaffel returned to Broadway as a replacement for Caroline Neville in the original production of Titanic in 1998. The role with which Marla Schaffel is most closely identified is that of the title character in the John Caird and Paul Gordon musical adaptation of Charlotte Brontë’s Jane Eyre. First taking on the role in the Manhattan Theatre Company’s 1995 workshop of the musical, Schaffel played Jane in the world première of the musical in Witchita and in 1996 reprised the role in Toronto. 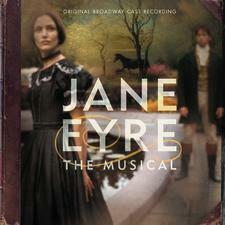 In 1999, Jane Eyre was presented in its Broadway try-out at the La Jolla Playhouse in San Diego before finally opening on Broadway at the end of 2000. 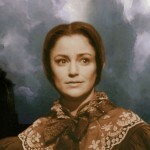 For her portrayal of Jane Eyre, Marla Schaffel earned a Drama Desk Award for Outstanding Actress in a Musical and a Tony® nomination in 2001.